This game was originally designed by a teacher to be used as a learning tool. 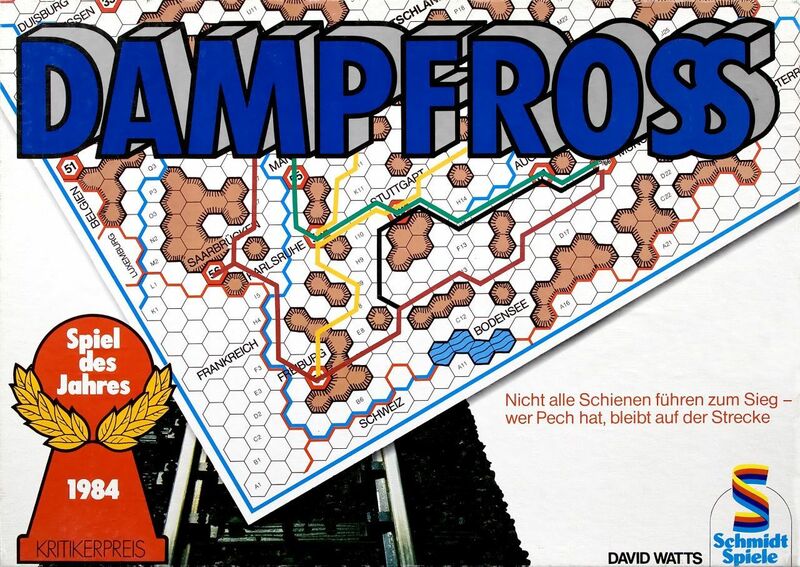 There are several different editions of this game (originally released in the UK as Railway Rivals), but most feature several different hexagonal maps of real locations, such as Tennessee and Germany. Starting from one of the cities pictured on the map, players build track during the first part of the game. Players receive a small bonus for reaching a city before anyone else, but otherwise funds are quite limited. After nearly every city has been connected to someone's rail line, several races are held on the resultant track. The starting city and destination city are determined randomly, and players can use each other's track (for a nominal fee, of course). After all races have been held, the player with largest bank account is the winner. This series of games is very similar to Mayfair Game's crayon rail games series, though they use erasable marker pens instead of crayons.